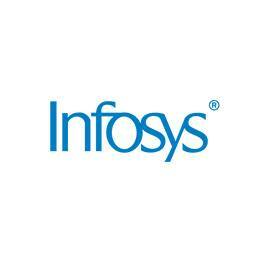 Bhubaneswar : Infosys, in its continuous pursuit to be a sustainability leader, recently released its 11th Annual Sustainability Report. The report provides an in-depth understanding of the economic, social and environmental practices Infosys undertakes across its business in accordance with the Global Reporting Initiative G4 (Comprehensive) guidelines. In line with its sustainability initiatives, Infosys has also focused its efforts on enhancing environmental performance by reducing emissions, becoming water sustainable, increasing the use of renewable energy and contribution to biodiversity. As part of this endeavor, the Infosys Bhubaneshwar campus provided high-efficiency biomass cook stoves to 37, 200 families in the Ganjam district of Odisha, a project that contributes to 11 out of the 17 United Nations Sustainable Development Goals. The cook stoves require 50% less firewood and burn smoke-free, thereby eliminating the ongoing health problems faced by the households in the village. As an additional benefit, the use of these biomass cook stoves will help prevent up to 2 lakh tons of carbon dioxide emissions over the next five years. The Infosys Bhubaneshwar campus has also received LEED platinum certification for its Software Development Block A & B buildings for excellence in environmental parameters.